Sun Dolphin is a prominent name for the anglers. Having a quality kayak for fishing is necessary. This Journey 10-foot is such kind. You will get all that you need for hunting fishes. 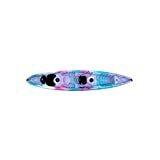 It comes with 10 feet in length and 30 inches in width, which is good enough for maintaining the speed and big catches. The high-density polyethylene provides strong stability. We are about to share your features and our experiences with this fishing kayak. 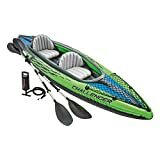 This is an all-rounder fishing kayak along with a very affordable cost. For long-term fishing, there is no alternative to it. Lighter design allows you to carry it easily from one place to another. Which would reduce lots of hassle that you may face? For an all-day fishing event, you need different accessories. 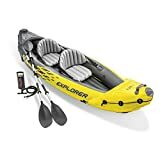 This sun dolphin fishing kayak has Portable Accessories carrier which helps to put all of your accessories you need for fishing all day or couple of days. This is a very useful feature. This fishing kayak comes with UV-stabilized Fortiflex and high-density polyethylene that give you superb stability while you catch big fishes. This fishing kayak comes with sit-in features which ensure total comfort for anglers. This manufacturer did not compromise with it, add all most all the essential features that a fishing lover needs. If you like winter fishing, then this kayak has no other feature that allows you not to come in contact with cold water while paddling. 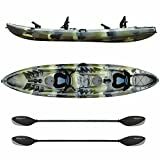 Going out for hunting with this fishing kayak that needs preparation regarding accessories. 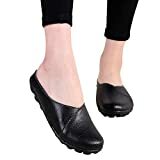 These accessories will make your journey a comfortable one. Besides that, you also need to take some safety measures like enough water, fast aid box, etc. If you give your priority to these things, then we recommend you to buy this Journey 10 SS Kayak it has enough space where you can carry all these. It's obvious that when you go fishing in winter that you may get touch with cold water. If you want to do it like catching fish without touching water, then it will get you a hard time. 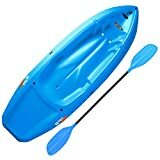 However, with all these great features, this Journey 10 SS Kayak has a very affordable price. This makes the kayak very popular to the anglers.